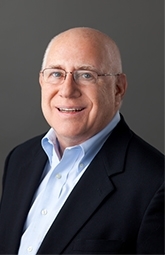 Len Cohen founded CFSG over 30 years ago to help people achieve long-term financial security. As a Certified Financial Planner™ Practitioner, he offers independent financial guidance and expertise to individuals, families, and business owners. Len helps people make wise financial choices and plan for their future so they can sleep better at night. Len specializes in Socially Responsible Impact Investing. He works with clients to align their financial and investment plans with their values and social justice goals. "It’s about doing well and doing good." David Yarn is an expert financial services professional and licensed insurance agent. 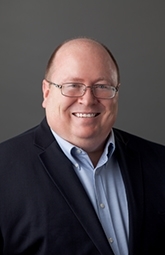 David works with individuals and small business clients to develop and maintain comprehensive financial plans, insurance policies, and employee benefits plans. At CFSG, our focus is you. We work with a small group of clients so we can provide personal service, dig deeper to understand your needs, and provide tailored, long-term planning and recommendations to help achieve your goals. Provide a big-picture view to protect your family’s future and financial security. Grow, protect and conserve your wealth. Provide individual, tailored advice and strategies to fit your current situation and future needs. Since 1981, we have empowered our clients throughout Montgomery County, MD, and the Washington, DC area to reach their financial goals and make better financial decisions. Look around our site and contact us to learn more. Align your investing goals with your principles. Invest for impact by putting your investments to work toward creating a sustainable future – making money and making a difference. As individual investors, our voices are small, but when we unite our voices as a group, we can influence corporate decision makers. HOW MUCH IS INVESTED IN SRI? HOW DO SRI INVESTMENT OPTIONS PERFORM? WHAT ARE IMPACTS / RESULTS? Socially Responsible Impact Investing (SRI) is a way of investing which aims to create a measurable, beneficial social or environmental impact alongside competitive financial returns. By pooling your investments with those of other socially conscious investors, you can affect positive change. NOTE: The SRI acronym (Sustainable, Responsible, Impact) reflects the common threads that weave the motivations of many socially conscious investors together: Putting investment capital to work toward creating a truly sustainable future; owning shares of the most responsible companies; while making money and having a positive impact—all at the same time. SRI’s goal is to generate long-term competitive financial returns for investors while influencing and creating positive societal impact. SRI investing spans a wide range of products and asset classes, including stocks, cash, fixed income and alternative investments. SRI evaluates companies based on a combination of environmental, social and corporate governance (ESG) criteria to screen investments for socially conscious investors. Strategies include negative screening, positive screening and divesting. Other increasingly important strategies are shareholder activism and direct community impact investments. According to the US SIF Foundation’s 2014 Trends Report on Sustainable and Responsible Investing Trends in the United States more than $1 out of every $6 under professional management in the U.S. —$6.57 trillion or more—was invested using one or more sustainable, responsible and impact investing strategies. From 2012 to 2014, sustainable, responsible and impact investing enjoyed a growth rate of more than 76%, increasing from $3.74 trillion in 2012. According to Forbes, the number of investment options incorporating ESG factors grew by nearly 1,600% from just 55 in 1995 to 925 in 2014. SRI investing continues to grow, both in the U.S. and internationally. A 2015 Morgan Stanley report found that "investing in sustainability has usually met, and often exceeded, the performance of comparable traditional investments." A comprehensive review of more than 2000 empirical studies found that the majority of studies show positive findings between ESG and corporate financial performance – roughly 90% of studies have positive outcomes. A 2015 study by Oxford University and Arabesque Partners concluded "80 percent of the reviewed studies demonstrate that prudent sustainability practices have a positive influence on investment performance." A primary goal of impact investing is to change corporate behavior. Investors can bring shareholder resolutions to a corporation to exert pressure to stop or change non-sustainable or unjust labor practices. Often, management will make concessions to avoid a public vote or bad publicity. Over 4,000 socially responsible shareholder resolutions have been presented to companies between 2005 and 2015. For example, palm oil production has caused massive deforestation and destruction of habitats. As a result of shareholder activism, Unilever, Nestle and others have agreed to purchase sustainable palm oil. Colgate-Palmolive, Wilmar, Cargill, and other agri-businesses have pledged to cut the loss of forests in half by 2020. As individual investors, our voices do not carry much weight. But, when we aggregate our investments and unite our voices as a group using Socially Responsible Impact Investing, we can influence corporate decisions and behavior. By aligning your investments with your personal values along with other socially conscious investors, you can make a difference. Whether helping you plan for retirement or make complex long-term care or insurance decisions, we want to make your dreams a reality. We provide hands-on, professional guidance to keep you focused on where you want to go, advise you how to get there and continually remind you of the importance of maintaining a disciplined approach to realizing your dreams. As a business owner, you are focused on building your business and serving your clients. At CFSG, we help entrepreneurs and small business owners manage a range of complex and time-consuming tasks. We can help you set up employee benefits plans, business insurance, retirement plans (401K, profit sharing) or develop business continuity or succession plans so that you can focus your time and energy on building your business. You only plan for your retirement once. We have done it many times and can help you plan for your retirement and live the best life you can. Whether long-term care insurance, life insurance or disability Income insurance, CFSG can help navigate complex insurance options to make sure you’re covered. Rising education costs require a forward-thinking plan. CFSG can help you prepare for one of life’s biggest investments. We can help your growing business create and administer plan options for your employees to help your business grow and thrive. Our Interactive Tools provide Answers to your Frequently Asked Questions. Explore the Latest News from CFSG. Len Cohen published this article in the Plan Sponsor Council of America (PSCA.org) Fall 2015 newsletter. In it, Len discusses how providing investment options that allow plan participants to invest in causes that matter to them is a strong indicator of how much employees matter to a company. He explains Impact Investing, how ESG factors work, and the results. He says that offering socially responsible investment options may increase employee participation but more importantly reflects a company’s values and culture. CFSG’s Len Cohen was featured in The Suit Magazine’s article on Green Investments. Len and David participated in the Chesapeake Climate Action Network Polar Bear Plunge, jumping into the Potomac River in January to raise awareness of climate change.